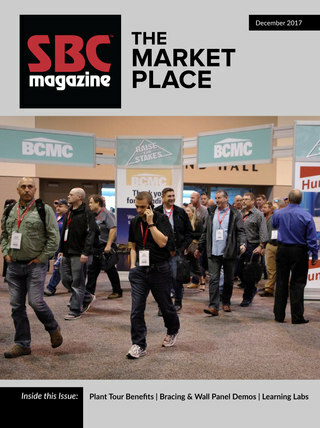 In addition to the news developments highlighted in SBC Industry News and the best practices shared through SBCA’s webinar series, SBCA is preparing to launch its own podcast series to allow members to listen to additional industry-specific insights wherever they go. 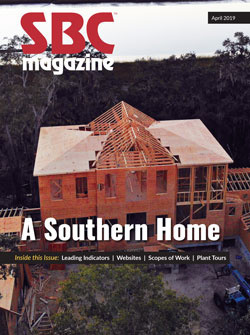 Editor’s Note: The follow article published by Forbes Magazine references SBCA’s Framing the American Dream project, which was conducted in 1996 and again in 2016. Much of that data has been incorporated in to a broad set of resources available to component manufacturers through SBCA’s new website bestwaytoframe.com. Are Component Sales About to Explode? George Casey, CEO of Stockbridge Associates, says the homebuilding industry will increasingly focus on improving manufacturing efficiency, ensuring material quality, and reducing home cycle times as they turn to off-site construction. This spring, Shelter Systems Limited of Westminster, Maryland, unveiled a new 360⁰ virtual reality (VR) plant tour. Jason Hikel, Shelter’s Systems IT Director, is excited about the ways they can use the video to promote their company. “I’ve come to fall in love with floor trusses,” Tim Carter wrote in his March 31 newsletter. Tim expands on this statement explaining the many holes and friction points that any solid wood or I-joist would have to get to install the same radiant floor system.